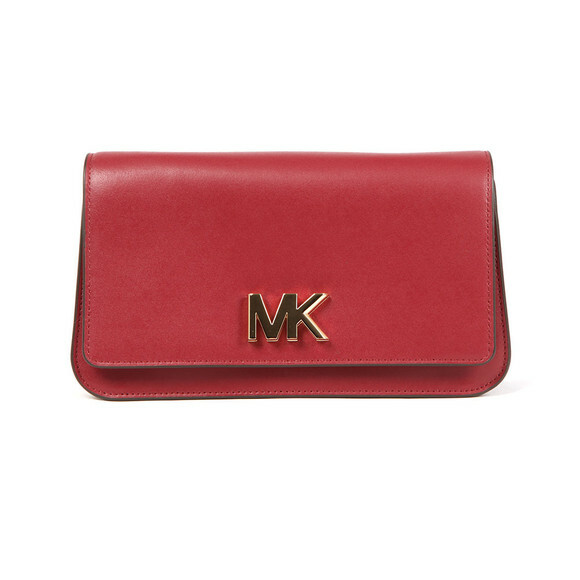 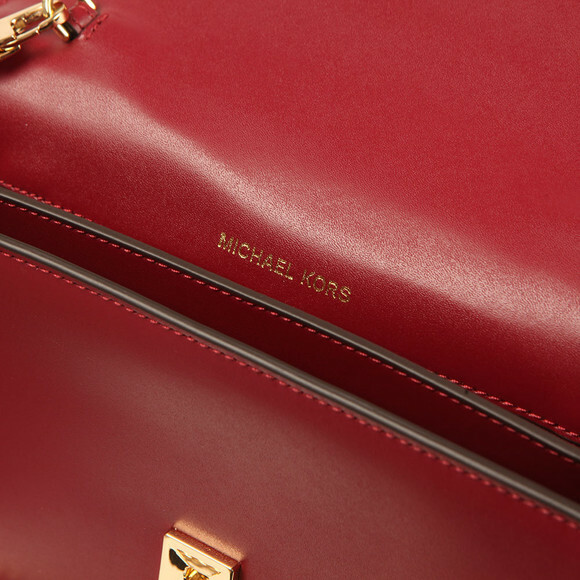 Michael Kors Mott Large Clutch Bag in 'mulberry' has been crafted from a smooth red leather that features a gold MK closure that twists to open. Two compartments feature to the interior and a slip pocket is displayed to the reverse. 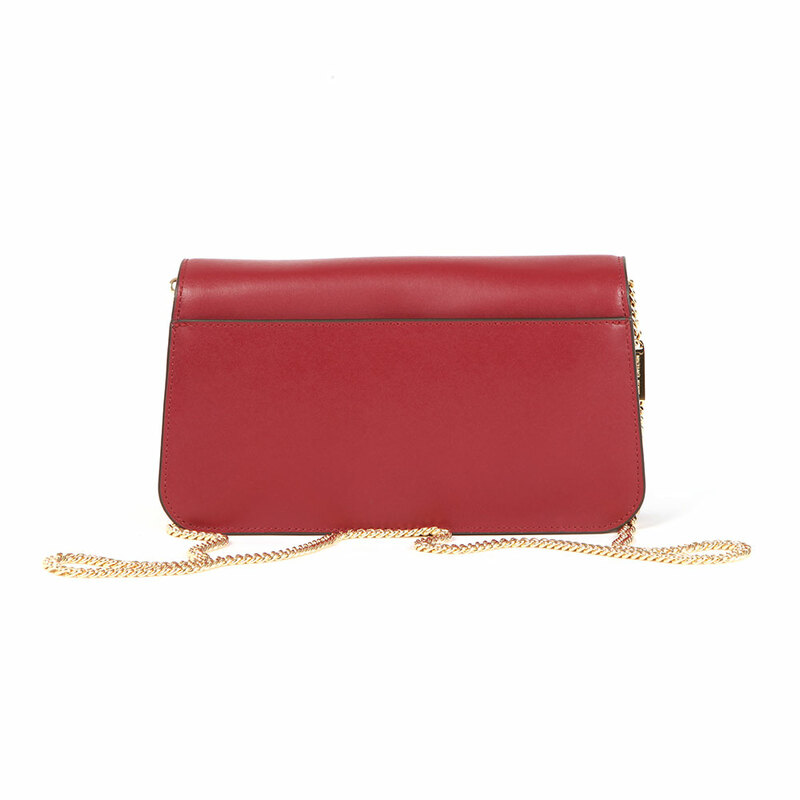 A detachable gold chain shoulder strap can be added to create an alternative look.